One of the latest ventures to come out of Penn State, Persea Naturals, began with an unintended discovery. Gregory R. Ziegler, professor of food science in the College of Agricultural Sciences, was extracting starch from avocado pits when he noticed something interesting. When avocado pits are pulverized, an enzymatic reaction produces a bright orange color. After extracting the starch, Ziegler just couldn’t get the color to wash away. Piquing his curiosity, this observation launched a multiyear research endeavor by Ziegler to identify the colored compound, alongside Joshua Lambert, associate professor of food science. The pair’s research, which proved both the stability of the color, and the wide spectrum of orange, yellow and red hues available, led them to a simple conclusion: the substance would be a perfect natural food color. Persea Naturals was born, with plans to bring a natural food color product line, AvoColor, to the commercial market. "Persea" comes from Persea americana, the scientific Latin plant name for the avocado plant. Along the way, the young company has taken advantage of several programs funded and supported by the Invent Penn State initiative, which helps university researchers through the commercialization process. After receiving an initial RAIN grant through the College of Agricultural Sciences, the researchers worked with Penn State’s Smeal College of Business to better understand the marketplace opportunity. They also turned to the Office of Technology Management for legal and technical assistance with their patent application and subsequent licensing of the technology. The team also participated in the TechCelerator @ State College, an intensive business accelerator run by Ben Franklin Technology Partners co-located in Innovation Park. Last October, the team won $50,000 at the Invent Penn State Venture & IP Conference in the Penn State Tech Tournament. They have received funding, facilities and strategic guidance from Invent Penn State and its partners that have helped to refine the Persea Naturals business plan and position the company for growth. Recently, the company brought in a seasoned CEO, Bob Hicks, to run Persea Naturals. Another significant milestone was receiving $75,000 in jumpstart funding from Invent Penn State’s Fund for Innovation. Their opportunity is a big one. Food and beverage manufacturers are increasingly looking to replace artificial ingredients with natural ones. Not only is AvoColor more vibrant and stable than most other natural options, it’s likely to be extremely cost-effective. The source, avocado pits, are currently discarded in large volumes by the prepared food and restaurant industries. What’s next? Persea Naturals researchers have already tested their product with a major manufacturer. 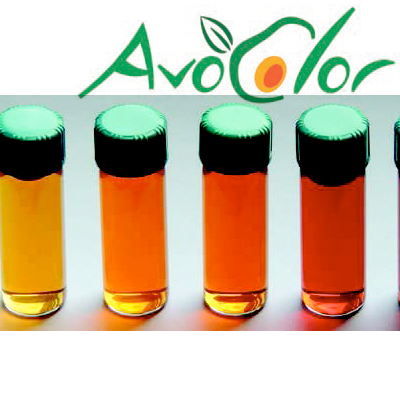 AvoColor has been highly successful in nearly every test, whether it’s added to dairy products, baked goods, or beverages. A signature program of the Invent Penn State initiative, the Fund for Innovation aims to de-risk and accelerate the development of Penn State’s commercially promising research for the purposes of licensing or venture formation. The program is a collaboration between Invent Penn State, the Office of the Vice President for Research and the academic colleges. Since its founding, the program has supported nearly 50 emerging Penn State technologies, resulting in 7 new ventures. Invent Penn State is a Commonwealth-wide initiative to spur economic development, job creation and student career success. Invent Penn State blends entrepreneurship-focused academic programs, business startup training and incubation, funding for commercialization and university-community collaborations to facilitate the challenging process of turning research discoveries into valuable products and services that benefit Pennsylvanians and humankind. For more information, visit www.avocolor.com.